The August flower event is next weekend. 21/22 August. 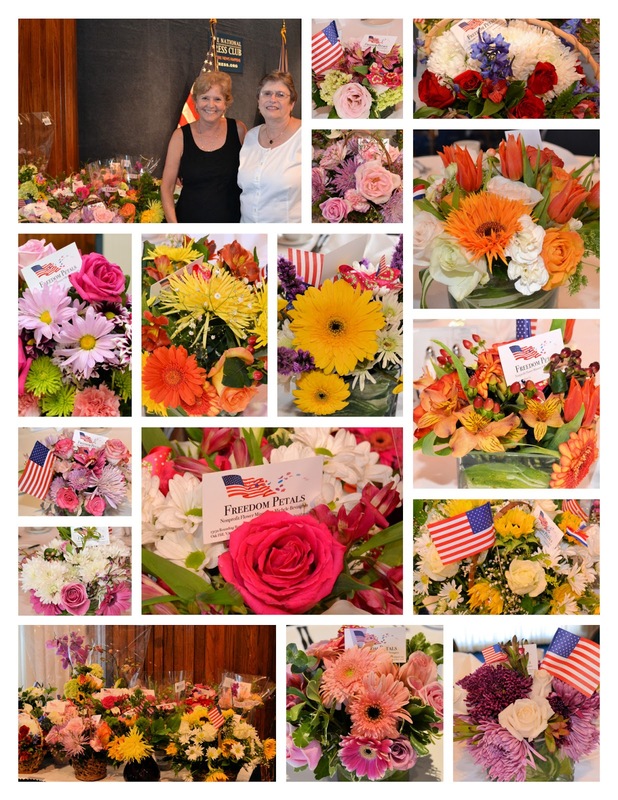 Please reply to this email if you can come out to create flower arrangements for our wounded warriors. We are supporting the Friday Night Dinner (Aleethia Foundation) a barbecue at the Elks Lodge. We will also be visiting Walter Reed National Medical Center - Fisher House and the hospital as well. Saturday, 22 August - 9 till we are done. I wanted to share one more story. 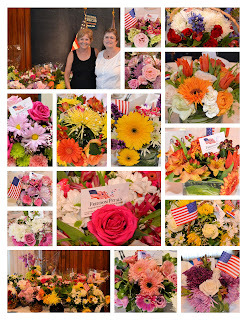 Freedom Petals created a few arrangements for a retirement ceremony as Walter Reed facility. The warrior is one that we met at the Friday night dinners. It is so exciting to see some of the service members that we have met through the years finally doing well enough to retire and move back home. Please find attached below the collage from the July Aleethia Dinner at the Press Club. The flowers were so beautiful and every family took home an arrangement. Thanks for your volunteer time and all the vases that show up on my stoop.